Music fans are in for a treat, as Darrel Higham has just announced two side-shows as part of his GreazeFest tour in Australia. 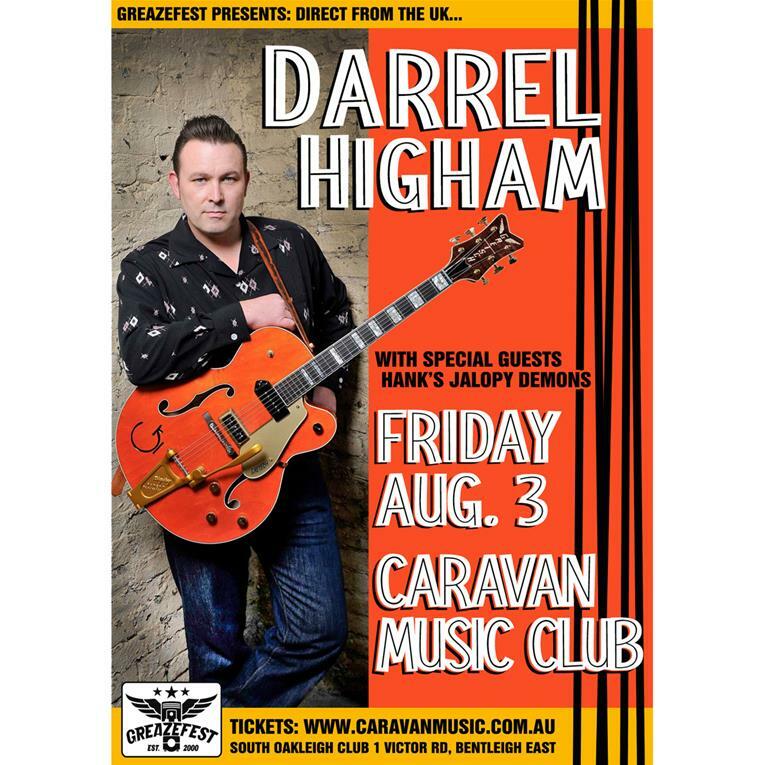 The British rockabilly master will be performing at new Caravan Music Club in Melbourne on Friday August 3, 2018. Opening the night will be Hank’s Jalopy Demons. The Caravan Music Club has just opened their superb new venue at South Oakleigh Club at 1 Victor Rd, Bentleigh East.